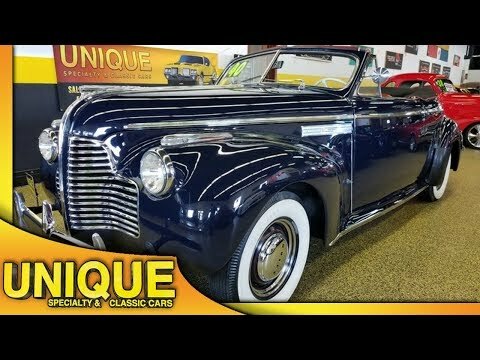 1940 Buick Super Convertible, only 4,804 built! VERY solid AZ car! TRADES? 1940 Buick Super Convertible Coupe, this car came out of Arizona. ONE OF ONLY 4,804 EVER BUILT! This car is a SUPER, Series 50, Straight 8 underneath the hood paired with a manual transmission with the shifter on the column. Bench seat has been redone and is in great shape. Convertible top is a vacuum powered top. Parade boot and the top are both in great shape. Comes with rear fender skirts. Door cards and door knobs are era correct. Car starts and drives great. Paint has a very nice shine to it, but of course does have a few chips/light scratches just from normal use.